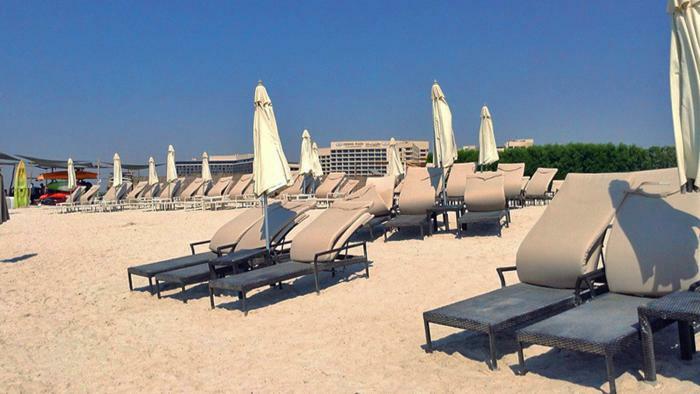 Crowne Plaza Yas Island - Abu Dhabi - rdmh ltd.
Set along the Links Championship Golf Course on Yas Island, this luxurious hotel features a 25-metre outdoor pool with sun-lounger terrace offering spacious guest rooms with balconies, and free Wi-Fi. Rooms at Crowne Plaza Yas Island feature elegant décor and spacious working areas and include satellite TV and tea-and-coffee facilities. The Crowne Plaza Yas Island 4* offers a variety of restaurants and bars where guests can enjoy Lebanese cuisine at Barouk or visit Stills Bar which serves a wide variety of international draught beer. Crowne Plaza Yas Island is located 8.5 km from Abu Dhabi International Airport. Yas Waterworld and Yas Beach are a few minutes away. and free private parking is possible on site. Crowne Plaza Abu Dhabi Yas Island is next to Yas Links golf course and minutes' walk to both Yas Marina Circuit, home of the Abu Dhabi Formula One Grand Prix, and Ferrari World Abu Dhabi. You're 10 minutes' drive from Abu Dhabi International Airport, while our complimentary shuttle wings you to city-centre souks and shopping malls in 20 minutes. With 10 meeting rooms and a wealth of dining options, our hotel is primed for business and banquets. The Kids' Club will entertain the children while you energise in our Fitness Centre or squash court. Swim up to Sundowner bar for a cocktail in our pool as the sun sinks into the Gulf.